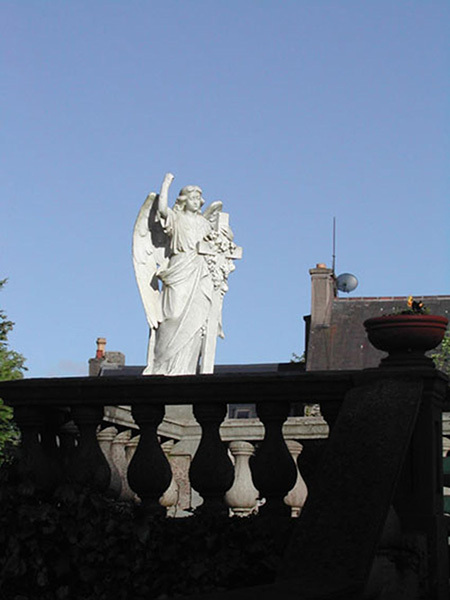 The Presentation Congregation has been associated with the South Presentation site since the foundation by Nano Nagle in the late 18th century. 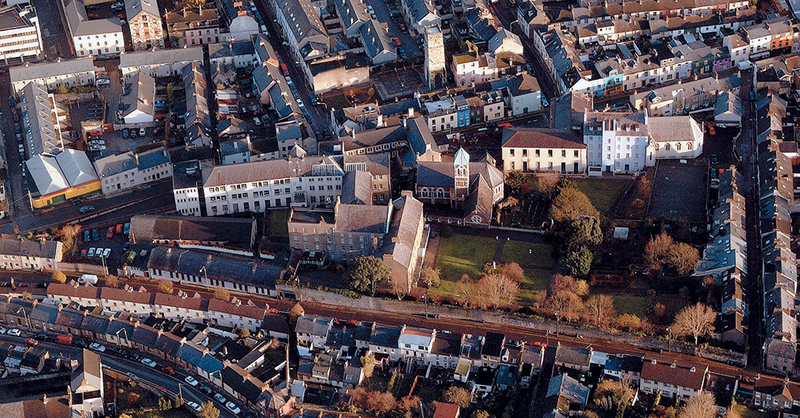 Due to changes in the role of religious orders, this historic place of great significance to the social and cultural development of Cork city, must adapt and serve new uses while retaining a respect for its original ethos and architectural heritage. Carr Cotter & Naessens were commissioned to make an integrated development plan for this historic precinct. Development will provide a catalyst for regeneration of the South Parish area. Research and wide consultation has revealed which elements are most significant in terms of history meaning and potential for re-use. Resources can be directed appropriately and intrusive elements removed to allow renewal of the site. The strategic proposal was developed to provide a clear framework for future development and allow new uses as may be proposed to be tested. The site can be read in three parts, the gardens, inner sanctum and schools and yards. Intervention in these areas increases from enhancement and adjustment to major rebuilding. A new public space provides a clear public domain on the site. The new space provides a public route through the complex and reconfigures the site allowing new relationships between surrounding streets. The functionality of historic buildings is enhanced by removing unsympathetic additions and adding modern circulation and services. 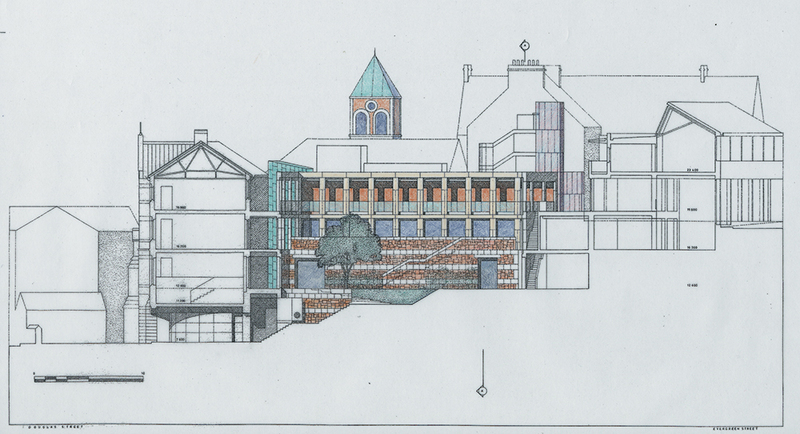 Old and new are spliced together to form a coherent enclosure around the cloister. 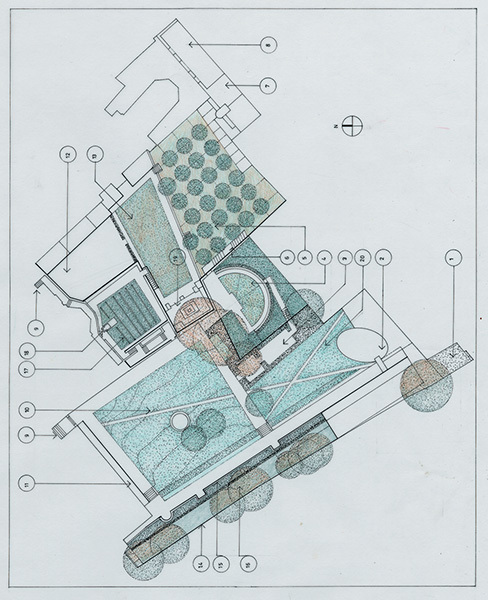 In contrast, the gardens would be reinforced and maintained as an oasis of quiet and repose. 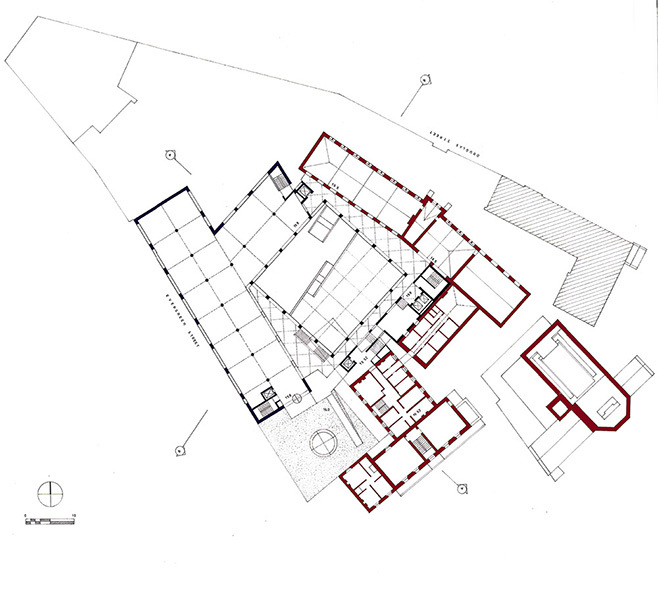 The existence of these two spaces on the site is the basis of the proposed strategy for the site; the contrast between them clarifies and enhances the inherent spatial organization of the site. A renovation and conservation project was carried out on the main chapel by Carr Cotter & Naessens (2009 to 2010).